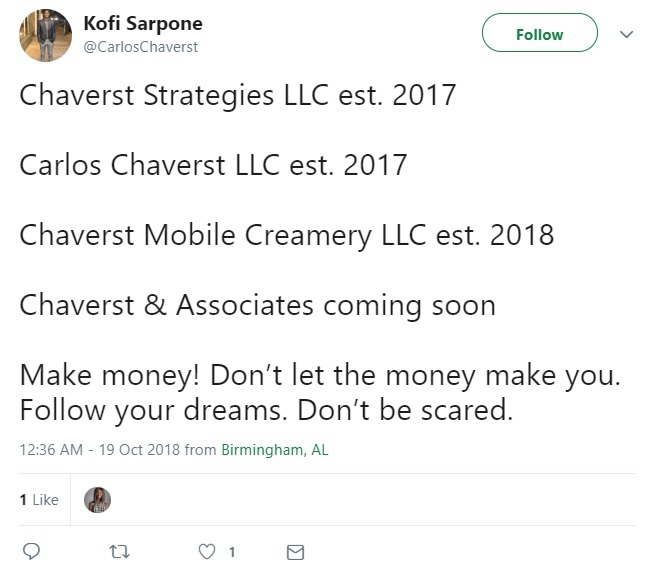 The (apparent) many lives of self-proclaimed Hoover civil rights champ Carlos Chaverst, Jr.
Before his post-Galleria shooting exploits, no one had ever heard of Carlos Chaverst, Jr. There was no reason to have heard of him. It remains to be the case that no one should know who Chaverst is. However, the media covering this sad and tragic chapter of Hoover history have a knack for tracking this individual down and offering their audiences on-the-scene play-by-play reports of his misdeeds – theatrical presentations performed in the name of justice for Emantic Fitzgerald Bradford, Jr.
For a better understanding of the man known as Carlos Charverst, Jr., Yellowhammer News did a deep dive into his social media postings and with the goal of determining the inspiration of this central figure in the Bradford shooting aftermath. 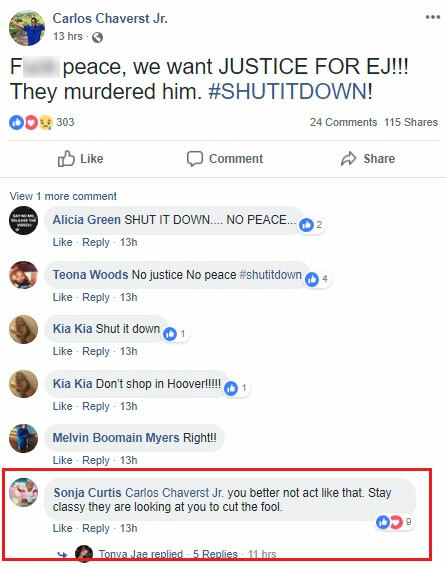 Threats aimed at the public and the derogatory name-calling of Hoover Police Officers aren’t Chaverst’s foray into the political realm. He’s been quite active based on a biography provided by the left-leaning Huffington Post. He served as a committee assistant for outspoken Birmingham city councilwoman Sheila Tyson and is currently the youth director of the Alabama chapter of Al Sharpton’s National Action Network. AL(dot)com has taken a keen interest in Chaverst’s activities. On Sunday, Alabama’s juggernaut of three-day-a-week major city newspapers deployed breaking news reporter Anna Beahm to AMC Patton Chapel movie theater in Hoover to witness Chaverst hurl insults at police and intimidate individuals with no involvement in the Thanksgiving night shooting whatsoever seeking to patronize the theater. 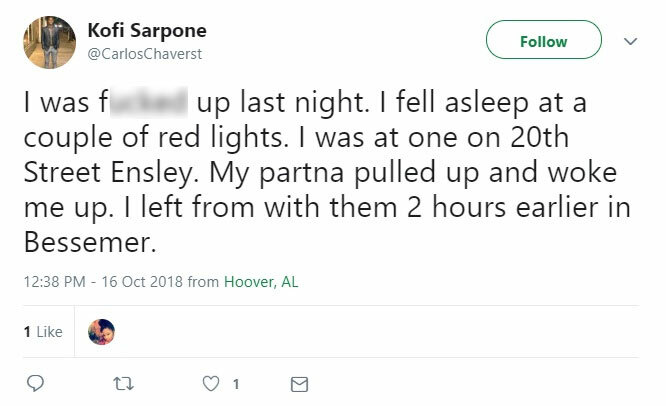 She was also on the scene for Chaverst grandstanding overture at a Hoover City Council meeting on Monday, and for a disruption at the Sam’s Club in Hoover immediately after the council meeting. Also sent to Hoover to chronicle Chaverst’s endeavors was education reporter Tricia Powell Crain, stationed at the Riverchase Galleria on Monday. Given the media attention granted to Chaverst and his apparent role as a figurehead for this protest movement, he is worthy of a deep-dive analysis. Our analysis starts with his tweets given Chaverst declares as a place he can be himself, as opposed to Facebook. At first glance, it appears Chaverst is a jack of many trades, but it’s not clear that he is a master of any. In his Twitter biography, he declares himself to be a “National Award Winning Journalist,” the president of a namesake company called “Chaverst Strategies,” and also a strategist, organizer, talk show host and activist. He also is a self-proclaimed entrepreneur. 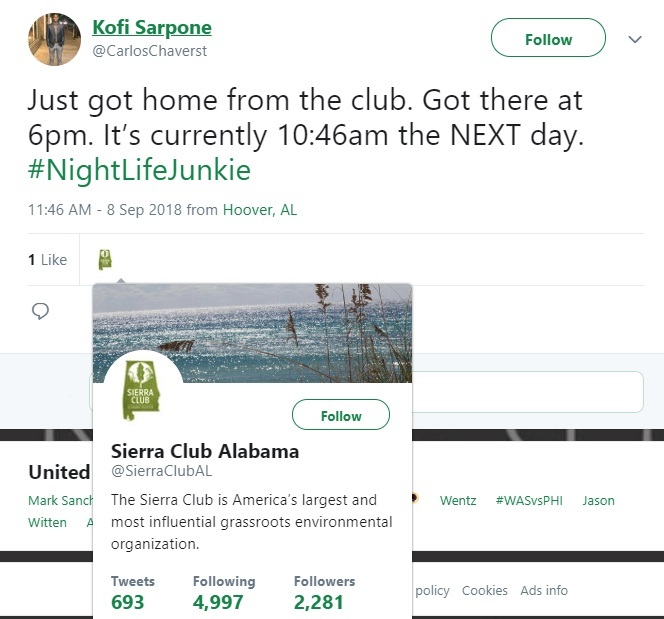 Based on his Twitter, Chaverst enjoys an active nightlife, which as he has pointed out sometimes becomes the-morning-after-last-nightlife. In 2016, Chaverst was a candidate for public office. He ran in the Democratic Party primary for the Constable of Alabama House District 60. A Twitter account he used in that effort shows some semblance of an organized campaign. However, he came up short in securing the Democratic Party’s nod by a little over 1,200 votes. Despite his online shenanigans, there is at least one calming influence in his life, his mother, Sonja Curtis. Curtis has reached out to her son on social media and warned him to “stay classy” and is also aware of the activities he is publicizing on Twitter. Chaverst has a dedicated Facebook account to this protest movement. However, Facebook has imposed some limitations given it was reported to be “hate speech” by some users. For the time being, Chaverst remains a central figure of the backlash to last week’s tragedy given he is frequently cited by media outlets. However, it’s not entirely clear that Chaverst isn’t exploiting the shooting to promote himself.